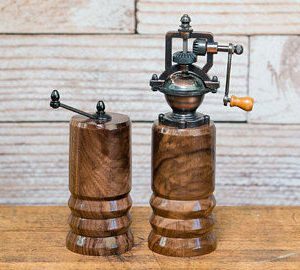 Our pepper grinders are “antique style” with a hand crank handle with matching salt grinders to complete the set. 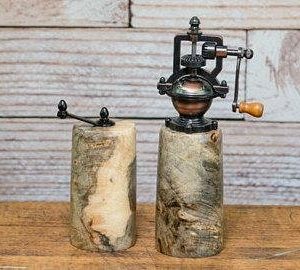 I hand turn each grinder from many beautiful and unique woods. 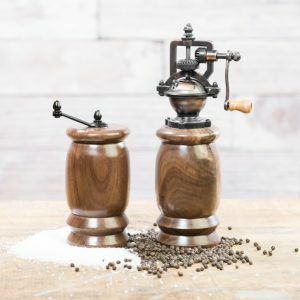 Enjoy freshly ground pepper and salt any time!